Off the back of the Samsung Galaxy S4 managing to shift over 10 million units in its first month we're now hearing the HTC One isn't selling too badly either. The Wall Street Journal claims an HTC executive has said the firm has sold over 5 million One handsets since it went on sale in March. Now this isn't anywhere near as stellar as the Galaxy S4, or even the Galaxy S3 which took 50 days to hit the magically 10 million mark, but it's not all doom and gloom for HTC. 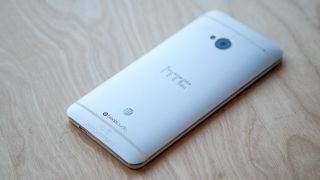 Bear in mind that the HTC One X is thought to have reached around 7-8 million sales in total the One is on track to do a lot better. Production and supply issues have hampered the One's distribution since its launch, and it's worth bearing in mind it initially went on sale in fewer countries than the Galaxy S4. HTC hasn't officially confirmed these sales figures, and we're currently chasing the Taiwanese firm for comment, so we can't take this figure as fact just yet. Of course the One's closest rival is the Galaxy S4 and from these figures Samsung is still comfortably on top, while reports of internal issues at HTC threaten to hamper the firm and it's five star flagship.